An artist's vision that pays homage to the historic Leland Hotel at 3rd and Victoria in the heart of downtown Kamloops will bring new energy to an important downtown corner that now serves as a thriving commercial space. The Leland Hotel, which was purchased and renamed in the early 1900s, ceased operations in the City many years ago after a fire in 1980. The property was re-developed in 1999 as a four-storey retail and office building and purchased by Kelson Group in 2009 and now operates under the name Kelson Place. 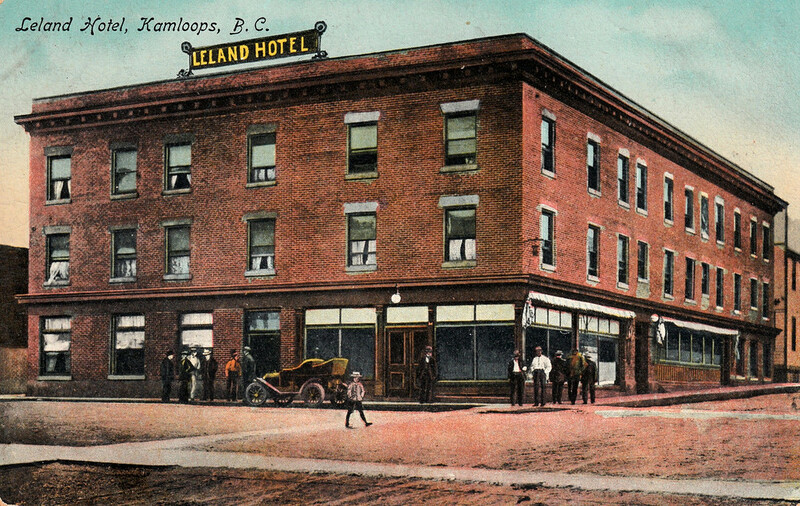 Kelson Group, working in conjunction with the Kamloops Central Business Improvement Association and the City of Kamloops, aims to bring a little of that Leland Hotel history to the back of the building through a large painted mural envisioned by local artist Evan Christian. 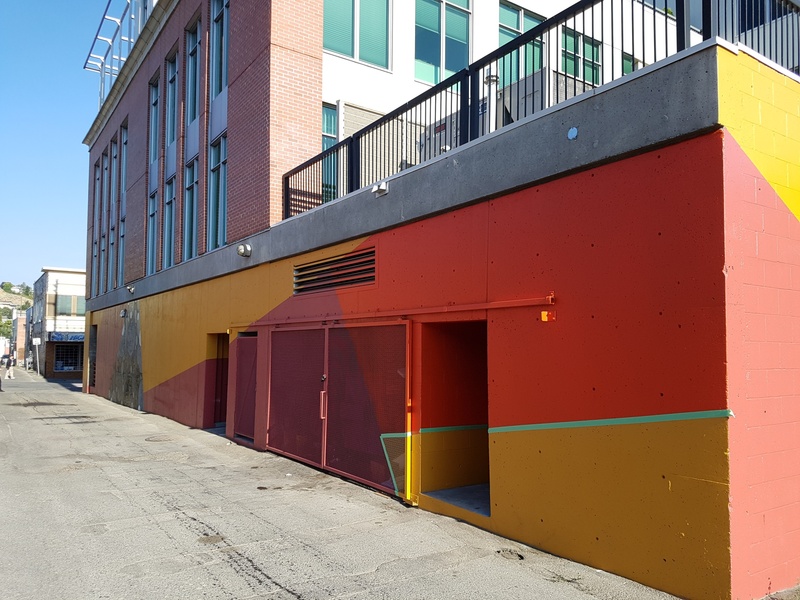 Set across a large section at the back of the building, the mural will encompasses dynamic shapes and vibrant colours that lend diversity to the downtown's Alley Art Gallery initiative. It will become one of several back alley murals completed as part of an anti-graffiti initiative started in 2016. This is the second mural Christian has completed as part of the Alley Art series. "We have struggled with graffiti over the years and the concrete was originally given a protective coat to repel it but it doesn't work that well anymore. 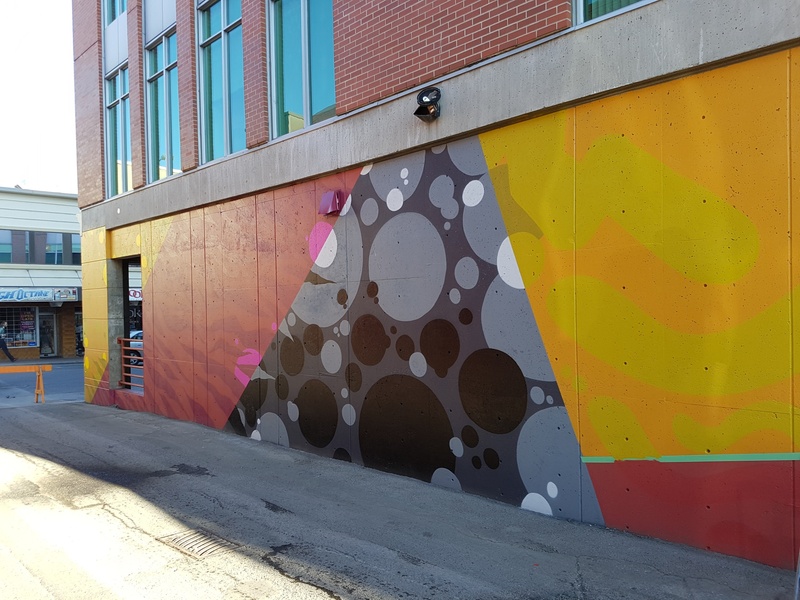 The mural was an interesting idea for us and it will add to the cultural significance in the area," says Jason Fawcett, Vice President of Operations, at Kelson Group. The mural will be completed and painted over several weeks this summer. We will update our progress on our website and Facebook.